Copyright Haruna no Mori Country Club Ltd.
Jack Nicklaus, winner of more than 100 professional golf tournaments and world-class golf course designer, has inspired Japanese people for decades. He has made outstanding contributions to the development of the sport of golf in Japan, designed more golf courses in Japan than any other country outside of the US. He outdid himself when he built the masterpiece at Haruna no Mori CC through an ancient pine forest in Gunma Prefecture.In order to achieve perfect contrast and vividness of colour he added local maple, ash, birch and beech trees. The course is beautifully manicured from tee to green, and the palatial clubhouse is exquisite yet warm and welcoming. 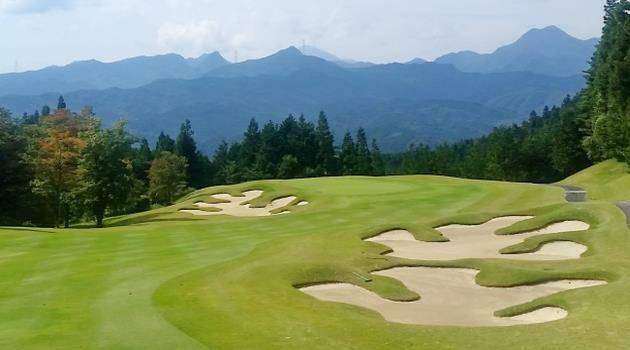 Staff members are accommodating and friendly making this one of Japan's best and enjoyable golfing experience available.